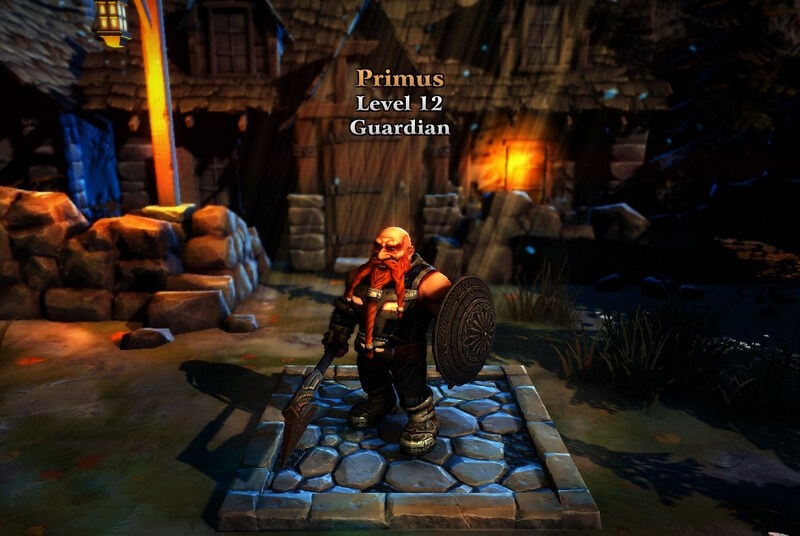 Herolike is an upcoming Action RPG debuting on Steam's Early Access, developed by Games Hut. 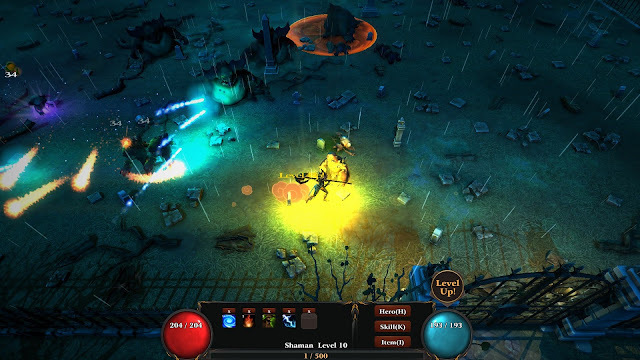 It's a rouge-lite dungeon crawler with 3D environments and bite-sized action combat scenarios spread out by a linear map. Its surprisingly good production values are unfortunately held back by an inconsistent gameplay loop, derivative mechanics and a lack of innovation. Related reading: For the ultimate in this genre, it's hard to look past Diablo 3. Matt's full review of the PS3 release. Let's start with the positives though - this is a great looking game. Environments are colourfully rendered and enemies are animated so lovingly that I could probably mistake the modelling work for Blizzard. The team at Games Hut doesn't shy away from colour and the mixing of 2D and 3D elements in the fights allows for combat to be a very vibrant affair. This is backed up by a lilting soundtrack which isn't particularly memorable but does fill the mood wonderfully. If you were to watch a gameplay video, Herolike would look absolutely amazing. Unfortunately, that brings me almost to the end of the positives. Herolike is just too derivative of an ARPG to drum up any interest for me, especially when there are complete games already released on Steam which do everything Herolike does except better. 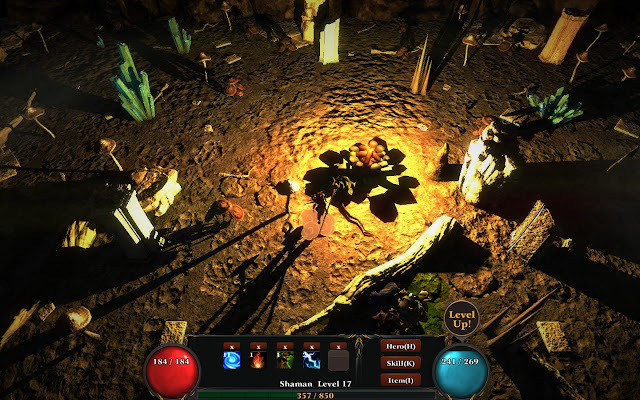 In its current build, Herolike has only the bare minimum to be a playable game. Its overworld is a series of menus where you choose between the next encounter you want to experience. There are four types of encounters - Hostile, where you battle enemies, Defence, where you try to protect a crystal (functionally similar to Hostile since you're still just killing everything), Friendly, where you read a story and make a moral choice, and Gamble which sounds cool until you realise it just tosses you a random scenario from the other three. Hostile encounters do thankfully get varied up - each encounter will have a different set of enemies and sometimes there are conditions that spice up the fight. Friendly encounters are pretty cheap - they are simple choices which don't really reward you at all, and are conveyed entirely through text. If you manage to trudge through 50 of these encounters without dying, you win. The role playing aspect at the time of writing is paper thin. Your only stats are HP, Mana, Attack and Defence, and this simplicity does not lead to any semblance of gameplay depth. There's also not a lot of loot but that doesn't matter, because loot only linearly affects your attack or defence. It's like the developers didn't bother trying to implement any unique stats, or buffs, or ways to customise your character - you have the choice between more levels and more expensive equipment, and thus more strong, or less levels and less expensive equipment, making you less strong. In the current build there are two possible characters you could play as - the Guardian, a melee dwarfy looking character, and the Shaman, a ranged spellcaster. Each character has four skills to choose from, which in my opinion is a bit of a missed opportunity. I enjoy Western RPG's based on their skill tree - more complex, interesting and powerful skills should be locked to the higher levels so I have something to work towards. In Herolike, however, all four skills are available from the get-go and additional skill points can make the skills stronger. The skills themselves are also among the most banal I've ever seen. The Guardian can deal damage in a line, damage in a cone, increase his defence for a short period of time and increase his defence for a long period of time. It's almost disrespectful how Games Hut only program four skills, and even then two pairs of skills are functionally identical! If Games Hut want Herolike to be taken seriously, I would really hope that they devise some skills which are unique, or at least provide a fun alternative to clicking on your enemies until they die. So the RPG elements are shallow, but the action part of the equation doesn't contend either. Movement is handled with the mouse, similar to a few old-school MMORPG's. You click the ground to move, and click an enemy to attack. Click faster to attack faster, until you hit your arbitrary attack speed cap based on your physical clicking ability. For some reason you don't have 360 degree movement - your movement is choppy and locked into a finite number of directions, leading to some jerky movement especially when making sharp turns. This also makes it hard to kite enemies if you happen to be playing the ranged character - half the time you'll misclick and end up walking towards your enemy instead. I don't know what would be the best solution, whether to implement smoother movement or WASD control or some kind of targeting system, but the game as it is isn't precise enough to feel satisfying. To Games Hut's credit, all the PR I have seen has been positive and the developers are genuinely excited about their game. It's just such a shame that they seem to be excited about the most basic features of the genre. I hate to sound harsh but at this point, developers shouldn't be excited that their games have boss fights, or varied encounter goals. We've seen these things before! Be excited about something unique in your game, so that players will latch onto that sense of individuality! This way, the game will have some value for players aside from being a lesser version of higher profile games they've already played. Related reading: And for a very creative, distinctive take on the genre, The Witch and the Hundred Knight is essential. Matt's full review. There is a little unique mechanic which I haven't mentioned so far, and that's its rogue-lite progression system. Using resources from your encounters you can build up a little town for yourself, upgrading your shops to access better equipment. This town is persistent throughout your game even though permadeath is enforced, so if you decide to spend your money upgrading your town you can expect to make it further and further through the game on each attempt. This is really the only form of compulsive character development I experienced in this game, so I do wish that future builds would expand upon this. It's a harsh, uphill battle competing against AAA developers and trying to beat them at their own game on an indie budget. And yet, Herolike seems content in doing exactly what AAA developers are doing without putting any original spin on the formula. Every update keeps adding things that I just can't get excited about. I don't want to see another character class added when the current two aren't interesting, for example. It would be much better if the developers stopped adding content and put their efforts in polishing what is already here. Because of this, the little gaps where Herolike comes up lacking seem enormous - I would normally never complain about a game's UI for example, but here that mistake is glaring. If you're keen to see a rags to riches story and really believe Herolike could make something of itself, feel free to check it out. Otherwise, it would be best to spend your time playing anything else.